Redsn0w 0.9.7 Untethered Jailbreak for iOS 4.2.1 Released ! Here’s How To Do It ! The iPhone Dev-Team have just released their “backup plan” (Redsn0w 0.9.7) for untethered iOS 4.2.1 jailbreak. 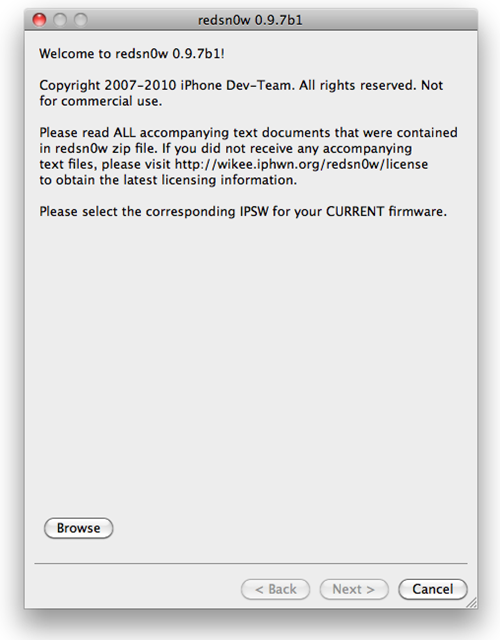 The just released beta version of Redsn0w will enable you to jailbreak (untethered) iPhone 4, iPad and iPod touch 4G on iOS 4.2.1. 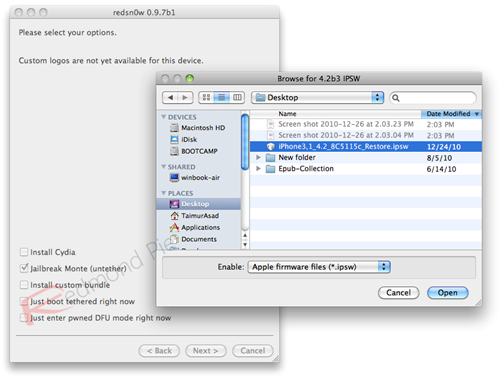 Access to iOS 4.2 Beta 3 firmware file. If you rely on Ultrasn0w unlock, STAY AWAY from this version of Redsn0w. Currently limited to iPhone 4, iPad and iPod touch 4G only. The best thing about this “backup plan” is that it doesn’t require you to restore or re-jailbreak your iPhone, iPad or iPod touch. This is a beta tester program. Things can go very wrong, so please don’t even consider testing if you have pictures or other media on your device that you haven’t backed up! Note: Skip to Step 2 if you have previously jailbroken (tethered) your iOS device on iOS 4.2.1 with Redsn0w. Step 1: First, you have to restore your iOS device to the original iOS 4.2.1. After restoring, you need to jailbreak your iOS device with Redsn0w by following step by step guide posted here. 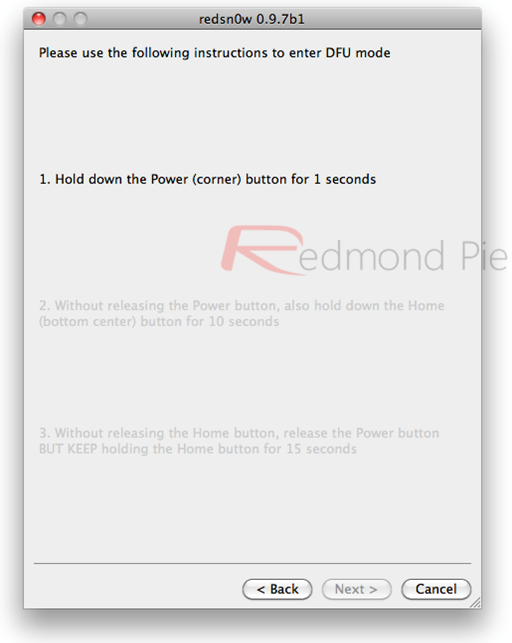 Step 3: Now you need to download Redsn0w 0.9.7 and connect your iPhone, iPad or iPod touch with Mac. Look for the download links at the end of the post. Step 4: Now download usbmuxd from here and extract it on your computer. 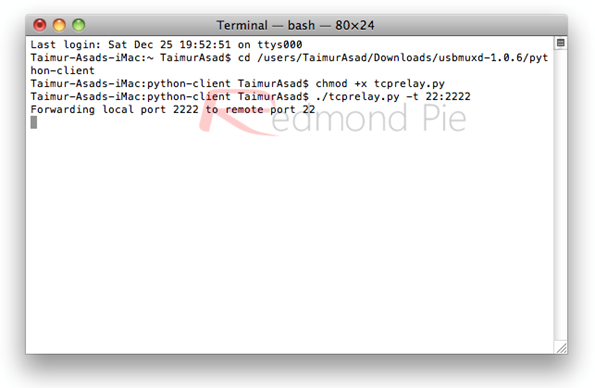 Start Terminal in python-client directory and then run the following commands as shown in the screenshot below. 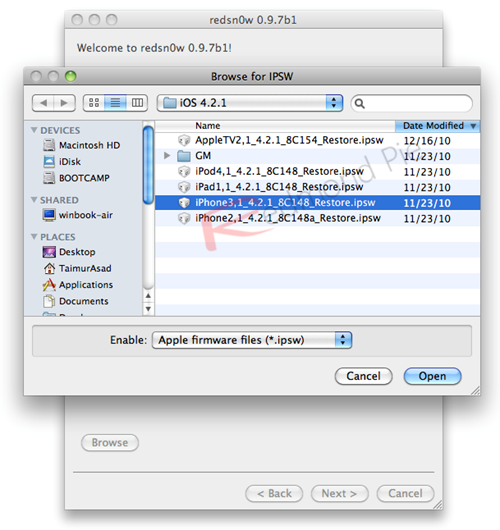 Step 5: Start Redsn0w and point it to the official iOS 4.2.1 firmware file. Step 6: Click “Next” and select “Jailbreak Monte” option, followed by selecting iOS 4.2 Beta 3 firmware file. 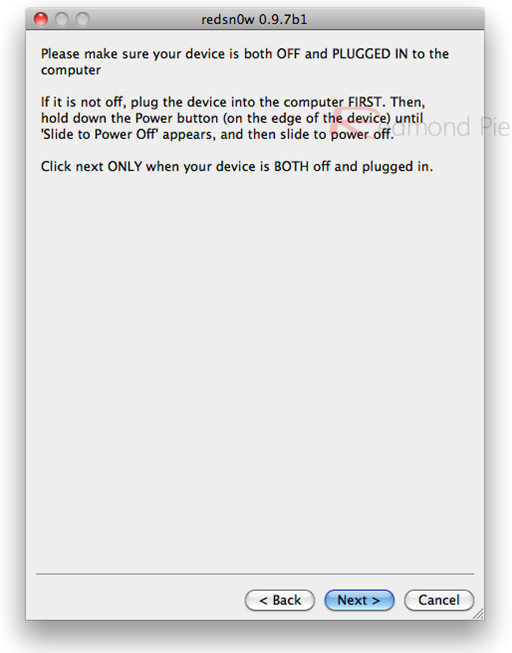 Step 7: Turn off your iOS device and plug it in to the computer before you proceed. Now you will have to enter your iOS device to DFU mode. Redsn0w will present the instructions to do so. You can enter your device to DFU mode by holding “power” button and “home” button for 10 seconds and then releasing the “Power” button but keep holding the “Home” button for further 10 seconds. The installation will begin automatically. Step 8: At this stage, you have to wait till Redsn0w completes it’s task. When done, your iOS device will restart to the jailbroken state running iOS 4.2.1. UPDATE 1: Redsn0w 0.9.7b2 is now available. Should fix all the native app crashes. UPDATE 2: Redsn0w 0.9.7b3 is out now! Fixes even more bugs! Download link updated.